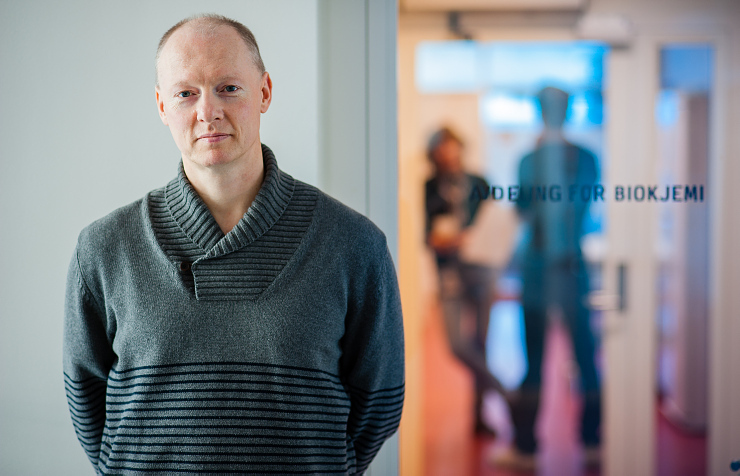 Professor Harald Stenmark, head of the "Cellular membrane dynamics" group at the Department of Molecular Cell Biology, receives ERC Advanced Grant for the second time. Only two other Norwegian researchers, Professor Edvard Moser (NTNU) and Professor Kenneth Hugdahl (UiB), have received ERC Advanced Grant twice in their careers. The research project "Coincidence detection of proteins and lipids in regulation of cellular membrane dynamics (CODE)" will last for five years and has been awarded 2.5 million Euro. The project aims at uncovering molecular "codes" that the cells in our body use to turn on special processes at the right locations inside the cell. This is important in cancer research because we know that defective "codes" can cause uncontrolled cell division and cancer development. When we know which "codes" the cell uses, we can also utilize these in biotechnology, and one part of the project concerns development of artificial "codes" that can be used as biosensors. Professor Stenmark, who is now also in the process of launching his second centre of excellence, CanCell - Centre for Cancer Cell Reprogramming, is a scientist that it is worthwhile to follow closely in the future. "Stenmark consolidates with his second ERC grant his position as an outstanding researcher in his field, through his cutting edge research at European and global top level," says Per Magnus Commandant, national contact for ERC in the Research Council of Norway. They send their warmest congratulations. Dean Frode Vartdal, research dean Hilde Nebb, institute head Ivar Prydz Gladhaug and the whole Institute of Clinical Medicine are immensely proud that one of the Institute's professors not only gets two SFFs in a row but now also their second ERC Advanced Grant. "Stenmark has been one of our top researchers for many years and has now clearly placed himself in the international elite division," Gladhaug says. "In addition, he is a spearhead for UiO at the Department of Cancer Research at the Norwegian Radium Hospital at Oslo University Hosptial, the most important cancer research community in Norway", continues Gladhaug.